Penuh semua kategori product of Fire Fabric, kami adalah pengeluar khusus dari China, Fire Resistant Fiber Cloth, Insulation Glass Fiber Cloth pembekal / kilang, borong berkualiti tinggi produk baru yang Fiberglass Insulation Fabric Cloth R & D dan pembuatan, kita mempunyai perkhidmatan selepas jualan dan sokongan teknikal. Mengalu-alukan kerjasama anda! Glass fiber reinforced material woven cloth is material of hull, storage tank, cooling tower, ship, vehicle, pot and architectural structure.Glass fiber cloth is mainly used in industries for heat insulation, fire proof and flame resistance. It can absorb a lot heat and prevent the flame through the cloth when suffer flame burning, and make the air insulating. 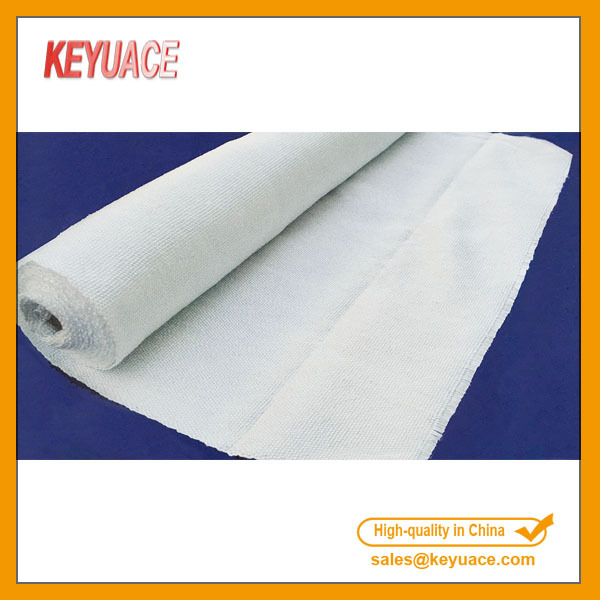 The bulk fabric cloth have the same effect with glass fiber cloth. 1. Working at -196 degrees C up to 700 degrees C. Weather proof. 2. Very difficult to be sticked by any material. 3. Resistance to chemical corrosion: strong acid and alkali, aqua regia and all kinds of organic solvents. 5. Light Transmittance: 6~13 %. 7. High strength and very good mechanical performance.